This can mark one of the biggest mergers within the Indian telecom, as strict Government regulations have stopped the telecom players from formulating such mergers and acquisitions. But it seems that the market now demands that consolidation takes place, and pave way for a new eco-system. In case this deal is successful, then the new company will command approximately 120 million customers. Sistema, which is a Russian business conglomerate led by Vladimir Yevtushenkov had initiated their Indian telecom venture in 2007, when he bought 10% stake in Shyam Telelink by paying $11.4 million. They named their venture Sistema Shyam Teleservices, wherein Sistema currently holds 56.68%, Russian Govt. holds 17.14% stake; Shyam Group has 23.98% stake and the rest is owned by small investors. They offer MTS brand of wireless communication services across 9 telecom circle in India. Right now, they control around 1% of the Indian market with 10 million customers. They are the only pure play CDMA service provider in the country, with majority of their revenues coming from data services. Mukesh Ambani is planning to create a tsunami within the Indian telecom market by introducing 4G services under their Reliance Jio brand later this year. We had reported that they are planning to acquire 50 lakh customers in 50 hours, and have devised strategies to offer 1 GB of 4G level Internet for as low as Rs 20 to Rs 50. Such a massive penetration program can disrupt everything, and Anil Ambani is fully aware of this scenario. In order to counter this tsunami, this merger can be a preemptive move by Reliance Communications, so that they have enough infrastructural capability to counter the incoming onslaught. In case Govt. approves this merger, and all stakeholders give their green signal, Reliance Communication will future-proof almost half of their existing telecom circles, where most of their licenses are expiring in the next few years. For example, their license in West Bengal will expire in 2017, and around 10-12 licenses will expire within 2022-23. On the other hand, Sistema had bought license in 8 telecom circles, which will expire in 2033: Delhi NCR, Kolkata, Gujarat, Karnataka, Tamil Nadu, Kerala, Uttar Pradesh (West) and West Bengal. Thus, Reliance will get hold over airwaves in these 8 circles, without spending a fortune, as these spectrum were purchased under auction, and the merger rules gives Reliance free hand to use them post-merger. Interestingly, Sistema had bought all these airwaves on 850 Mhz band, which is the same niche which Reliance Comm. wants to dominate, as during the recent auction, they ditched all 900 Mhz bids, and concentrated only on 850 Mhz. 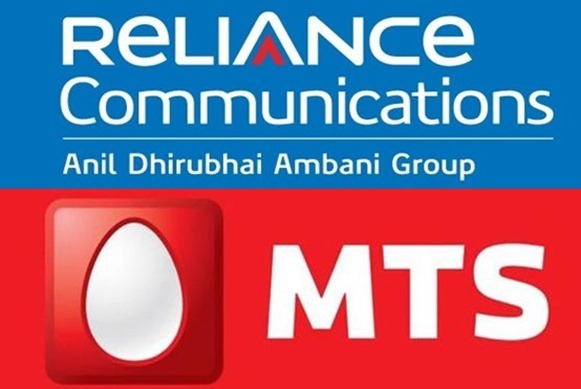 Currently, MTS has debts and liabilities of Rs 3200 crore, which are not part of the negotiations with Reliance. Hence, if this deal goes through, then Reliance Communications will only own the assets of Sistema, not liabilities. Using a complex maze of equity structure, this deal will be a cash-less one: only stocks will be traded and Sistema led MTS will end up having around 10% of Reliance Communication’s shares. Later on, during the 2nd phase, Sistema may inject more funds into the merged entity, and raise their stakes to 50%, thereby avoiding further debts, and increasing assets. On the other hand, Reliance Communication has debt of around Rs 32,000 crore as of now, which can be reduced using this merger as the shield. From both the accounts, this consolidation can be a win-win situation. The value of spectrum owned by Sistema is Rs 7500 crore, whereas Reliance Communication’s total market value is Rs 16-17,000 crore. Once these two companies are merged, the total value which will emerge is around Rs 22,500 crore. Due to increasing debts, and shrinking customer base, Sistema was planning to write-off their expenditures, and exit the Indian market. They didn’t participate in the last two biddings for spectrum (2014 and 2015), and all their 8 licenses were bought in 2013. Hence, its not only Reliance Communications, but also MTS which will greatly benefit from the merger. Sistema has invested close to $3.6 billion into building telecom infrastructure in India, and it seems that it’s the right time for making the optimal exit. "3 Reasons Why Reliance Communication & Sistema Shyam Merger Makes Sense", 5 out of 5 based on 1 ratings.